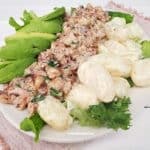 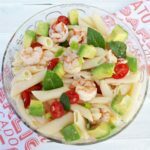 Shrimp, Bacon, Avocado and Potatoes makes a delicious, filling Salad for lunch Shrimp Bacon Avocado Potato Salad is a mouthful for a recipe name, but so is the Salad (literally!). 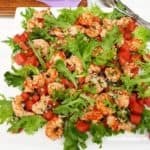 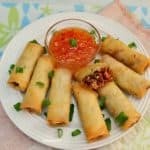 This Salad makes the most wonderful lunch and it can be served completely cooled or slightly warm. 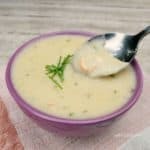 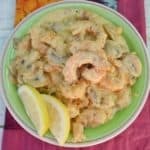 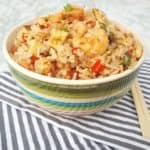 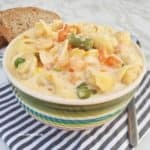 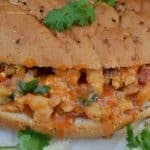 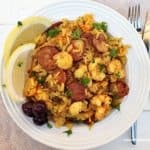 Creamy Shrimp Chowder is an easy homemade chowder, rich, comforting and the perfect comfort food on a chilly day Creamy Shrimp Chowder is a rich, comforting meal for dinner or lunch.